Most people think that if they’ve lost the passcode on their device and the device somehow becomes locked, they’ve equally lost all the data on the device. This is true to some extent but there is something you can do to get your photos back if your iPad is locked. This article will explore the different ways you can do that. It is however worth noting that if you hadn’t backed up some or all of the lost photos before you forgot your passcode, there is very little you can do to save the photos. You have to erase the iPad to gain access to it and this will erase all your data and settings. But you can still have a try: Connect your iPad to the computer and check if your computer and iTunes can detect your iPad to make a backup urgently. 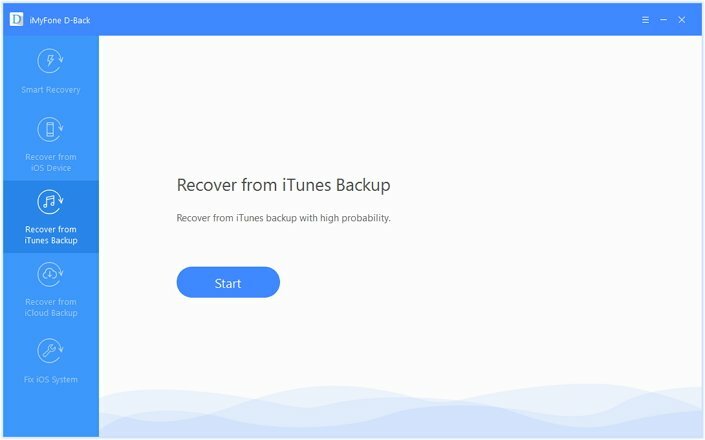 If you had synced your device with iTunes, you can restore the device to get your photos back. Here’s how to do it. Step 1: Connect the iPad to your computer and launch iTunes. If a passcode is requested, try using anther computer you’ve synced with or recovery mode. Step 3: Choose the most relevant backup to restore the device. The above method will work very well to get your data back but you will not be able to only recover photos. 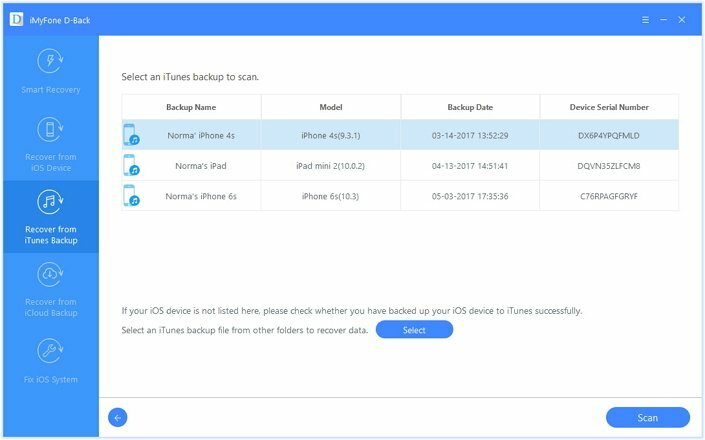 To do that, you need the services of iMyfone D-Back iPad data recovery for Win or iPad data recovery for Mac (compatible with iOS 11) which can help you recover lost photos selectively from an iTunes backup file. Follow these simple steps to do it. Step 2: The program will detect all of the iTunes backup file on that computer. 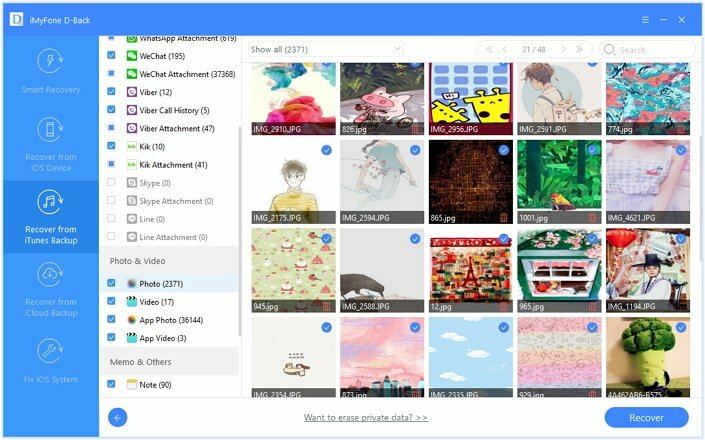 Select the one that contains the photos you wish to recover and then click “Scan” to allow the program to scan the backup file for your missing photos. Step 3: In the next window, select the photos you wish to recover and then click “Recover” to save them. If you had set up Find my iPhone, you can easily use iCloud to erase and then restore the iPad even if you don’t have a passcode. Follow these simple steps to do it. Step 1: from any other device go to https://www.icloud.com/find and then sign in using your Apple ID. Step 2: Click on “All Devices” at the top of the window and then choose the device you want to erase, in this case the locked iPad. Step 3: Click “Erase iPad” to erase the device as well as its passcode. You can then choose to restore the device from a backup or setup as new. Using iMyfone D-Back iPad data recovery for Win or iPad data recovery for Mac (compatible with iOS 11) you can access the iCloud backup and only select the photos you wish to recover as opposed to recovering all the data on the backup file. Follow these simple steps to do it. 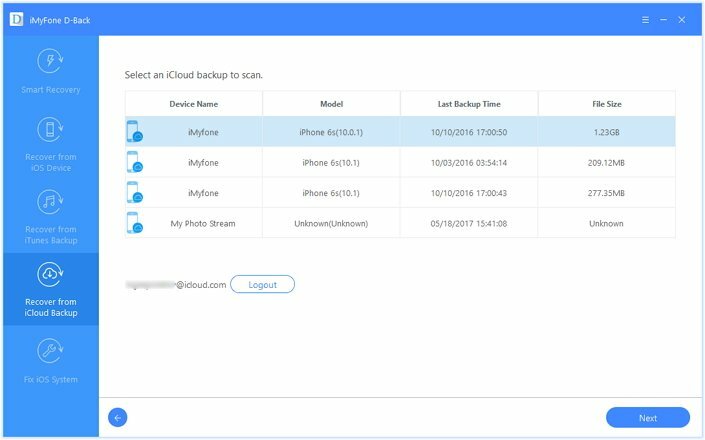 Step 2: Sign in to your iCloud account and all of the iCloud backup files on that account will be displayed in the resultant window. 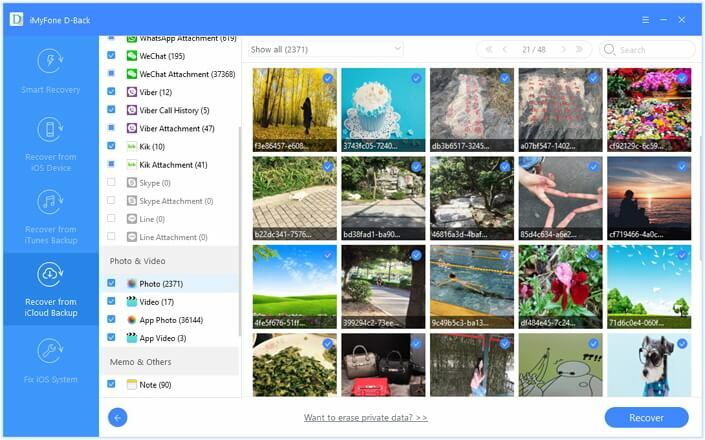 Select the one that contains the photos you want to recover and click “Next” to allow the program to scan the backup file. If you had never synced your iPad with iTunes or set up Find my iPhone, you will need to use recovery mode to restore the iPad. This will erase the device completely as well as the passcode.